Glen Hansard, Tash Sultana, Passenger, Dermot Kennedy, The Pierce Brothers, Ed Sheeran, Tracy Chapman and Rod Stewart are very different artists, with various backgrounds and contrasting styles, but all with one very similar beginning – busking. Their start in the music industry began on a simple street corner or promenade, come rain or shine, and look at them now. 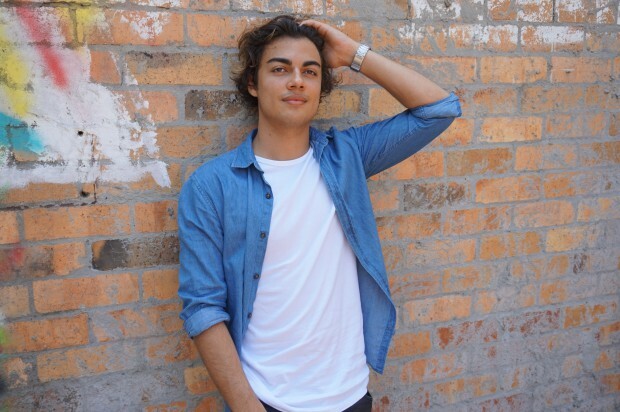 One street musician who has caught our ear is young Darwin singer songwriter Jordan Ravi, who spent the first five years of his career performing on the dusty, deserted streets of his home town. “I was a very young, naive 14-15 year old kid who just wanted to play his music for people,” Ravi explains. “It was really tough. I would get my small guitar and busking amp and lug it for almost an hour to get to a place called the The Nightcliff Markets. It’s like a sort of street, urban market area where I’d set up my gear and play,” he recalls. “I remember being drenched in sweat; just boiling hot. Some days, my guitar string would break and I’d have no spare guitar so I’d have to play through it. I used to just put my hat out, and if I could get five people to stand in front of me and watch what I was doing, that was an amazing day. Despite the conditions, Ravi’s love for music intensified and following his first gig out of Darwin in Forté territory at the Aireys Inlet Open Mic Music Festival supporting indie rock icon Adalita, the 18-year-old packed up his life into a box, swung his guitar over his shoulder and made the move to Melbourne to pursue a career in the craft late last year. “I’d always dreamed of moving down to Melbourne. When you’re from Darwin, that’s like the equivalent of the Big Apple,” he laughs. Now with a Victorian postcode and a signing to the Yoyo Music Management Team, it’s only been an upward journey for the now 19-year-old. With music that combines the sensibilities of early 2000′s pop music with classic rock and jazz fusion, Ravi is seeing out the month with the launch of his debut single ‘One More Time’ to his new Melbourne fans. His career is certainly starting to move faster than the average Darwin local, so make sure you come down to cheer for him on Wednesday 27 Feb at Stay Gold.